Every pearl is unique. But every so often, we come across a pearl that is just extraordinary. 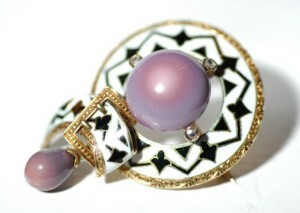 The pearl our Master Artisan chose for this brooch is certainly that! 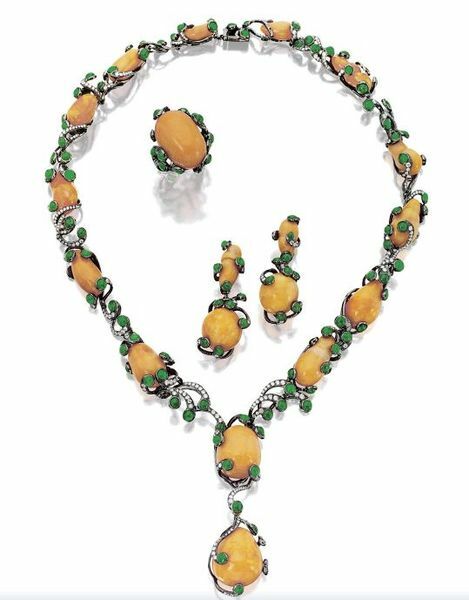 This dazzling adornment features a large freshwater mabe´pearl in the shape of elephant. It has been hand-embellished with Swarovski® crystals and finished with a smooth hand-inlaid abalone backing. There is only one of these stunning brooches in the world, and it won’t be replicated after it’s sold! You can own your very own one of a kind pearl when you choose a mabé pearl pendant. 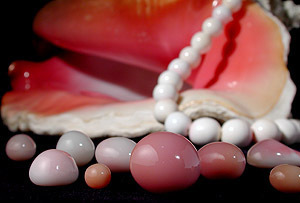 These pearls are a brilliant white color with pink, blue, and green overtones playing across the surface. 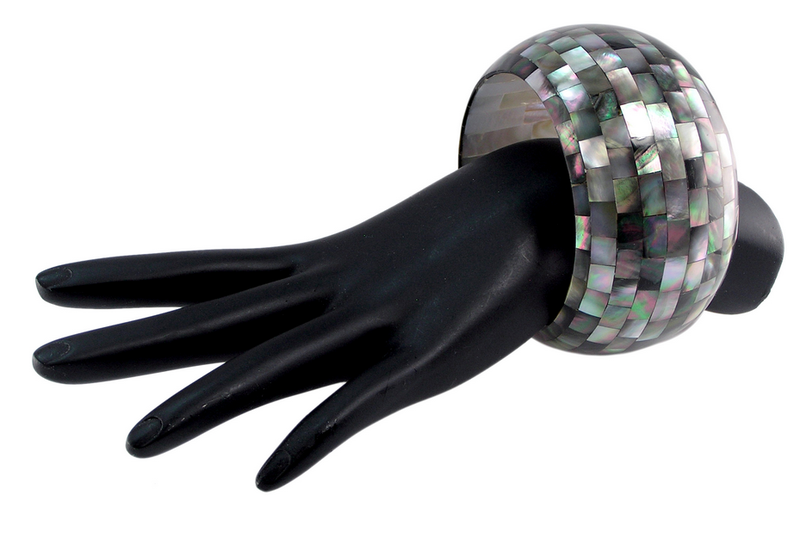 They have been accented with several Swarovski® crystals imbedded in the surface of the pearls and are finished with a smooth Abalone Mother-of-Pearl backing. 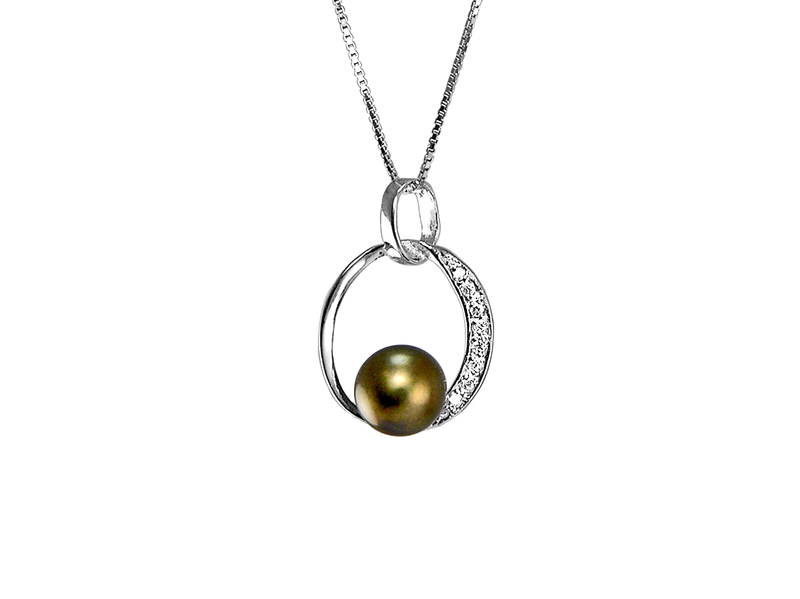 Each pearl hangs from an 18″ Sterling silver chain on a sterling silver bail. Actual pearl may vary from picture. 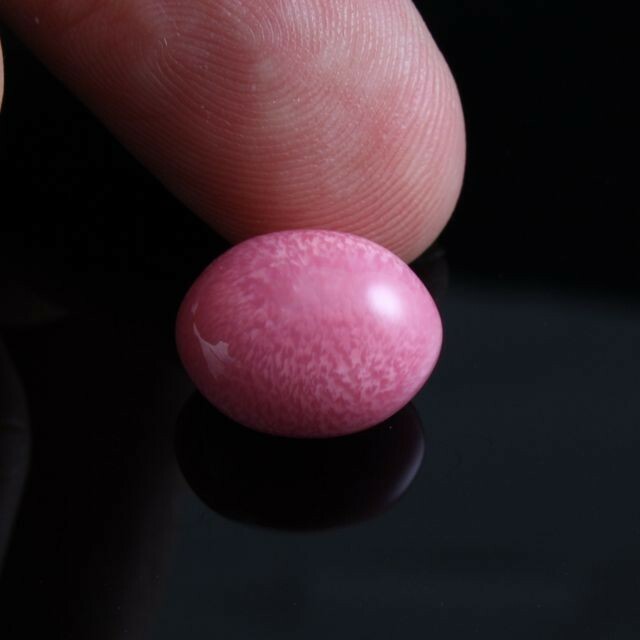 Your friends might not even believe this is a real pearl, it looks so extraordinary. But it is! 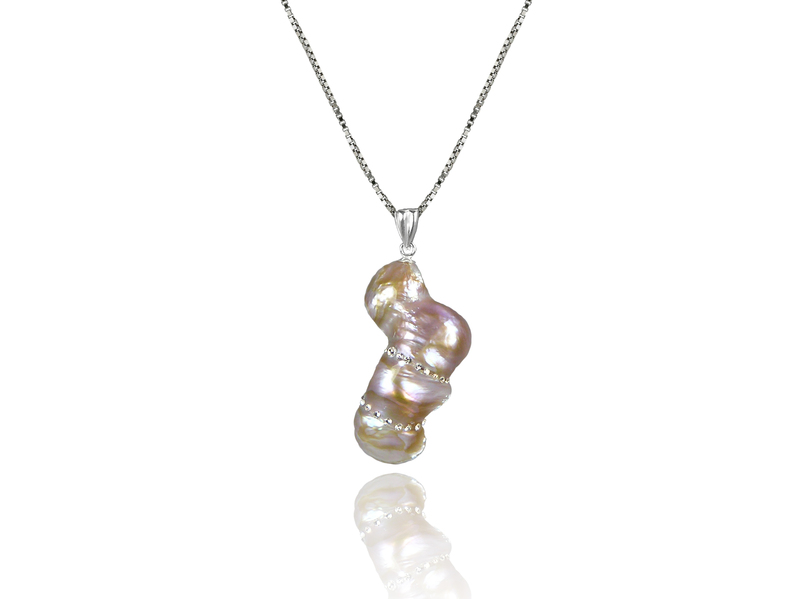 This pendant features a one-of-a-kind, genuine freshwater mabé pearl of many colors. The nacré (smooth pearlescent substance that forms pearls and gives them their color and luster) is primarily gold, copper, and lavender with an amazing aqua blue and green orient that gives it an extra shine. This pearl has been hand-encrusted with Swarovski® crystals in a two-stripe pattern across the surface of the pearl. Finished with a smooth abalone backing and a simple Sterling silver bail, this pendant hangs from an 18″ Sterling silver box chain. Pair of Sterling silver lever back earrings composed of a small round black color freshwater pearl hanging over a large abalone shell stylized teardrop. Welcome to the Pearl Library! Pearl Crazy (pûrl krā’zē) adj. Persistent attachment and consuming affection for lustrous ocean gems. Pearl Crazy may be communicable, as those who come into contact with individuals with the affliction tend to begin to behave strangely. There may be potential here for a global outbreak of Pearl Girls. Closely akin to Pearl Crazy, but also spends an inordinate amount of time in or around pearls. Legend tells us that when the excruciatingly beautiful Venus rose from the sea, the drops of water that fell from her body scattered and became a thousand perfect pearls. 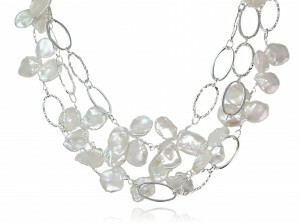 Cultures from around the world have cherished pearls for countless generations for their purity and natural perfection. 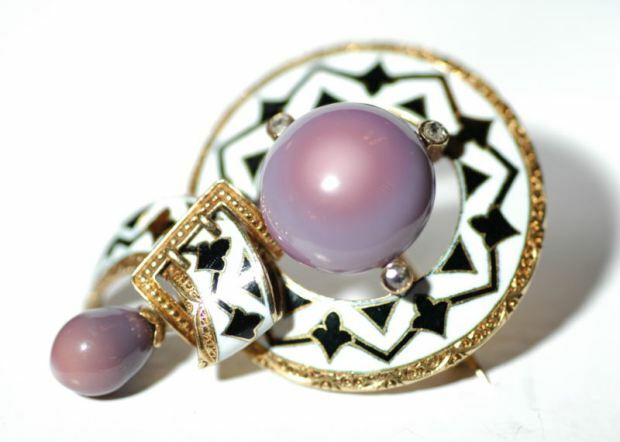 In Persia, pearls are called the ‘Tears of the Gods’. Some cultures believe them to be God’s first creation. During many Chinese dynasties, it was believed that pearls fell from the sky when dragons fought. In other times, they also believed that the moon alone could create pearls, bestowing its otherworldly celestial glow on the beautiful gems. The ancient Greeks believed that when the sun went down, oysters, attracted by moonlight, would float to the surface of the ocean, open their shells to the night, and collect the glistening evening dew. They would disappear by morning, but the dew would soon be transformed into a radiant pearl. Pearls have been known for centuries as “The Queen of Gems and the Gem of Queens.” Portraits of royalty more often than not feature pearls prominently as ornaments for clothing, as jewels in the hair, or as components in massive crowns or scepters. Those who could afford to buy and keep such gems would of course be glad to broadcast their wealth and power by putting their pearls on display. Rulers and the very rich sought out this precious jewel, sending countless divers to their deaths by drowning or shark attack at the bottom of the sea! Pearls were often seized as spoils of war, passing from owner to owner during their long journeys. Queens were known to obliterate their rivals to obtain this priceless gem! In recent times, it is easy to see the power of pearls as women in high position still wear pearls (consider Hillary Clinton and Angelina Jolie, or Jacqueline Kennedy, Grace Kelly, and Princess Diana, for a few, who are all well known for wearing pearls). Think of the last time you looked at magazines in the supermarket checkout line. We’d hazard a guess that the most beautiful, influential women on the covers were wearing pearls! However they were made, the ancients certainly realized their unique worth, and pearls became one of the most prized gems in history. Their rarity meant that a high-quality pearl was so expensive that only a few lucky people could afford to own them. They quickly became associated with wealth and power, and the pearl’s popularity spread so rapidly, especially during the Renaissance, that laws were passed in Europe prohibiting anyone except for royalty and brides on their wedding day from wearing them. Such a storied gem has of course produced its share of folk tales and superstitions. Even though many of these beliefs are no longer widely shared, some of them have found their way into our modern cultures. In some cultures, brides are discouraged from wearing pearls on their wedding day or from incorporating pearls into their wedding ring for fear that they will bring tears to the marriage! However, going back many generations, this was not the intended meaning, but rather, pearls were thought to bring not tears of sadness, but tears of joy. In other cultures, including the American culture, brides think of pearls first when they think of a gem they would wear on their wedding day. Pearls on the bride, the bridesmaids, the flower girl indicate the purity and sacredness of the ceremony. Pearls’ association with babies and children is well- known, and some believe that placing a pearl under the pillow of a childless couple will allow them to conceive. 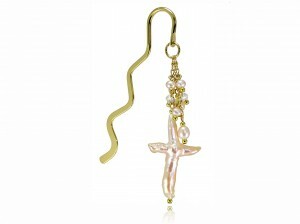 Perhaps due to their inherently feminine nature, pearls are sometimes thought to help cure depression in women. It is the belief of the Pearl Girls at Pearls International that receiving a gift of pearls would certainly cure most depressions we can think of! The pearl is the birthstone for individuals born in June. All types and colors of pearls are appropriate for gifts to those born in the month of June. Pearls are prized for their beauty and history, and are given as priceless gifts on the 1st, 3rd, 12, and 30th wedding anniversaries to symbolize purity and constancy. Giving pearls to newborn babies is thought to give them a long and happy life. Pearls are thought to provide their wearers with the power to obtain love, healing, protection, wealth, and luck. Pearls International makes no claims as to the validity of any of these beliefs, but if your pearls bring you luck, we wouldn’t be at all surprised! When you buy pearls for a loved one or for yourself, you can be sure that it will be appropriate and appreciated, often becoming a favorite piece! The process of culturing pearls was perfected in the early twentieth century by a handful of dedicated and passionate pearl advocates, a man named Kokichi Mikimoto being chief among them. Initially, his intention was to restore oyster populations that had been depleted in his native Japan due to increasing industrialization and pollution. However, after many years of experimentation, Mikimoto discovered a method through which he could reliably produce pearls by implanting carved shell beads in the tissue of the Akoya oyster. Soon, his method was adopted by other pearl cultivators, and the history of the pearl was changed forever. Regular folks would never have been able to afford a pearl if not for the hard work of these pioneering souls who made cultured pearls the industry standard – and we at Pearls International are forever grateful! Once an exceedingly rare gem, pearls today are cultivated by man, so they have become accessible to virtually everyone. They are produced in a variety of places around the world, including the Persian Gulf, India, Sri Lanka, the Red Sea, and even from as close to home as Tennessee! Some freshwater pearls can even be found in the rivers and lakes of Scotland, Ireland, France, Austria, and Germany, and from the areas around S. Viet Nam, S. Korea, Burma, Thailand. At Pearls International, we source our pearls primarily from Tahiti, Australia, Japan, China, and New Zealand, the places most likely to produce pearls of high quality and luster. Pearls are an organic gem, and are relatively soft, ranging between 2.5 and 4.5 on the widely-used Moh’s Scale of Hardness. They are formed when a small irritant finds its way into an oyster’s shell composed of many layers of shimmering nacre coating, an irritant that finds its way into the oyster’s shell. Pearls may take several years to reach a size that can be used for jewelry. 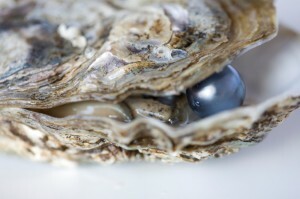 During that time, each oyster leaves its own signature, which appears on the surface of the pearl as luster and orient. The oyster may also leave small imperfections in the surface of the pearl — far from being undesirable, these characteristics help to give each pearl its own personality and makes each one unique. Because of this individual signature, no two pearls in the world are alike. With pearls, you know that your jewelry is truly one-of-a- kind! 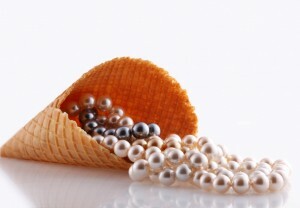 Today, there are so many varieties of pearl on the market that it can be difficult to choose. Most pearls fall into one of four major groupings: Freshwater, Akoya, Black Tahitian, and South Sea. Here are a few of the more common types, along with photos and descriptions to help you decide which pearl type is right for you! If you’d like to know more about choosing the perfect pearl, check out our pearl- buying guide. A cultured pearl is any pearl grown with the influence of human intervention. Today most pearls are cultured, meaning that they are implanted with a foreign object to produce a certain shape or form of pearl. Cultured pearls are not as expensive as natural pearls, but because they are cultivated by humans, they are plentiful and less dangerous to harvest. The only way to tell if a pearl is natural or cultivated is to have it x- rayed to determine if there is a foreign object at its center. Natural pearls cover a huge variety of pearls and can be further divided into saltwater pearls (formed in gulfs, bays, seas, oceans) and freshwater (from lakes, rivers etc.). Natural pearls are typically saltwater. Formed entirely by an act of nature and with no assistance from man, the irritant enters the mollusk. The irritant can be anything from a fragment of shell to very small animals such as snails or worms! Most natural pearls are irregularly shaped, and these pearls are very rare to come across–when you do, they come with a hefty price tag! 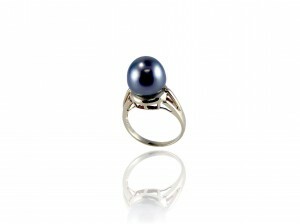 Black saltwater pearls are a naturally dark colored pearl that are formed in an oyster with a “black-lip”. Black Tahitian pearls are by far the most common, but other oysters will produce darker colored pearls very infrequently. The majority of black pearls available on the market, and almost all black freshwater pearls have been enhanced by treating with organic compounds, irradiation, or heat to deepen their color. 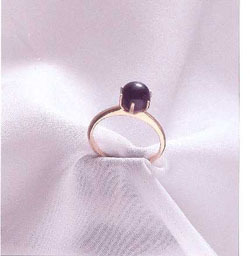 Most black pearls are not truly black, and there are a wide range of pearl colors that are included in the ‘black’ family. These colors include true black, light black, silver, blue, or dark grey, although other very dark colors such as the rarer peacock green are also referred to as black pearls. Originally Tahitian black pearls, the chocolate pearl is born within the black Pinctada Margaritifera, the black-lipped oyster. After the pearl is harvested it is treated with a natural combination of organic compounds to produce a lighter chocolate color. Just like that, this beautiful pearl goes from licorice to chocolate. Freshwater pearls can also commonly be found in chocolate colors, but are almost invariably treated to achieve these rich tones. ‘Freshwater’ is the umbrella term for any pearl that forms in a body of water that is not salty, such as a river, lake, or stream. A freshwater pearl is created when a piece of foreign material enters an oyster’s shell and cannot be ejected by the animal. 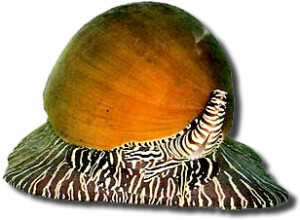 The object irritates the mollusk, and to decrease the irritation, the oyster produces nacre, a hard substance similar to horn. 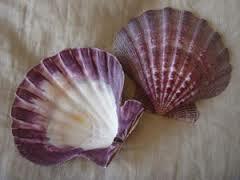 Over a period of time a pearl is produced in the shape of the object that was covered by the mollusk. The son of a Japanese noodle shop owner, Kokochi Mikimoto’s interest in the cultivation of pearls was sparked by his era’s obsession with natural pearls. He realized that even with their popularity, finding a natural pearl of any quality was incredibly rare. Noticing the trading power that the pearl had, Mikimoto set out to create pearls of his own that would ensure pearls would never be scarce again. Mikimoto wanted to guarantee that his pearls were worthy of a reputable standing amongst the world’s finest pearls, so he established a grading system with only 5% of cultured pearls meeting the criteria. The South Sea pearl comes from the Pinctada Maxima oyster, which originated in Sri Lanka. These oysters were originally famed for their shells, which were used in the production of Mother-of-Pearl shirt buttons. When diving for oysters the pearls were an viewed as an extra incentive! Broome pearls was the official name of the South Sea pearl; these pearls became so sought after that government had to outlaw the harvest of oysters to prevent extinction. South Sea pearls usually come in the peacock green color range and are larger than most pearls due to their warm habitat. Tahitian pearls are also known as Black South Sea pearls, and are cherished for their exotic colors and mirror-like luster. 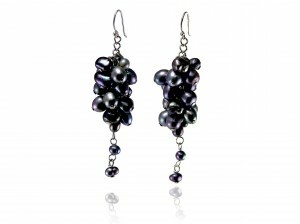 Often called “Black Pearls”, Tahitian pearls consist of the widest spectrum of exotic colors of any pearl! These colors include peacock green, silver green, blue, eggplant and many more! Tahitian pearls come from the Pinctada Margaritifera oyster, which is found exclusively in Tahiti and other French Polynesian islands. 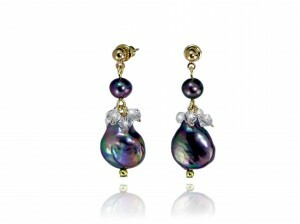 Tahitian pearls range in size from 8mm to as large as 16mm! Found in the Kimberley area of Northwest Australia, the Australian pearl industry is know for producing the world’s finest pearls, and generates 20,000,000 dollars a year. Australian pearls are grown in saltwater, and range in color from subtle gold to milky white. 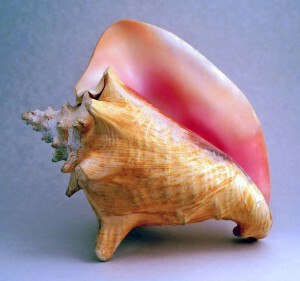 Found in the Caribbean, Florida, and the Gulf of Mexico, conch pearls are one of the rarest varieties of pearl, but it wasn’t always this way. 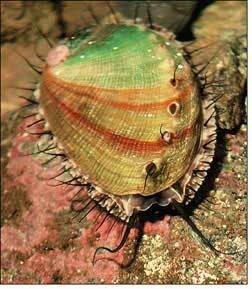 Spiral-shaped Queen Conches are primarily harvested for their meat, but every 1 in 1,000,000 conches produces a non-nacreous pearl. Conch pearls are created from a calcium carbonate which produces a flame configuration on the face of the pearl along with a hardness and resistance to damage. 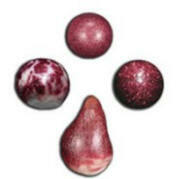 The colors of these pearls vary from white, yellow, pink, and the mogul of them all, the salmon-colored orange pink. Because natural pearls are so rare, people have for thousands of years created substitutes. Records indicate that the ancient Romans made imitation pearls. Queen Elizabeth I of England, who had a passion for pearls as you can see in just about every portrait, is said to have established an artificial pearl industry to supply what nature could not. 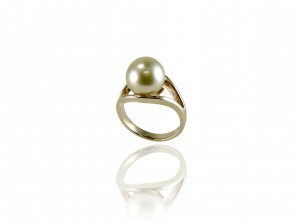 Mallorca pearls originate from the Spanish island of Mallorca. Also known as Majorcan pearls, they are very popular in the United States. 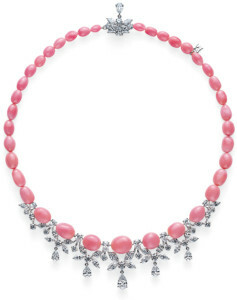 The techniques for manufacturing imitation pearls have varied over the centuries and today include coating glass beads with a mixture of varnish and fish scales or flakes of the mineral mica. Named the state gem in 1979 the Tennessee River pearl is not your average pearl. The only domestically cultivated pearl available in the US, this pearl is known as the most durable pearl in the world. 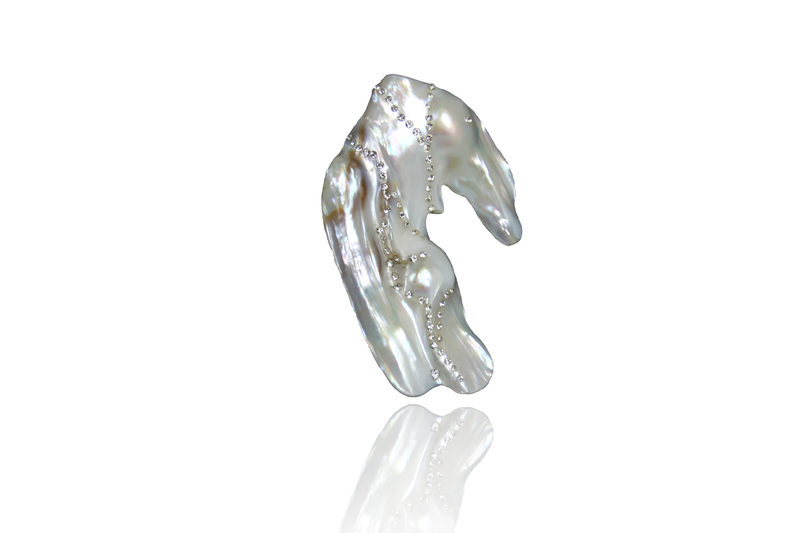 The irregular or abstract shape of the pearl comes from changes in the toxin levels in the Tennessee Rivers after WWI. Button pearls are pearls that are spherical on top, and flat on their underside, they are mainly used for earrings because of this structure, which lends itself well to mounting on posts. Also called rondelle pearls, the button pearl is a freshwater pearl. 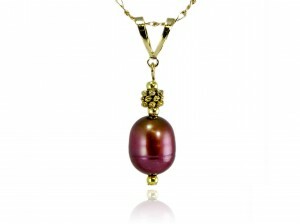 These pearls are very popular because of the uniformity they possess. On occasion you can find tiny seed pearls in any kind of mollusks in any color. These pearls were very popular during the Victorian era, and were used to make extravagant pieces for less than the cost of diamonds, rubies or other gemstones. Pieces containing thousands of tiny pearls were constructed, requiring less work because the individual stones didn’t have to be cut. They were shaped and formed to place on wire frames or horse hair ropes. Keshi pearls are often considered to be formed by accident, since these pearls occur when an oyster ejects its irritant before the culturing is complete. 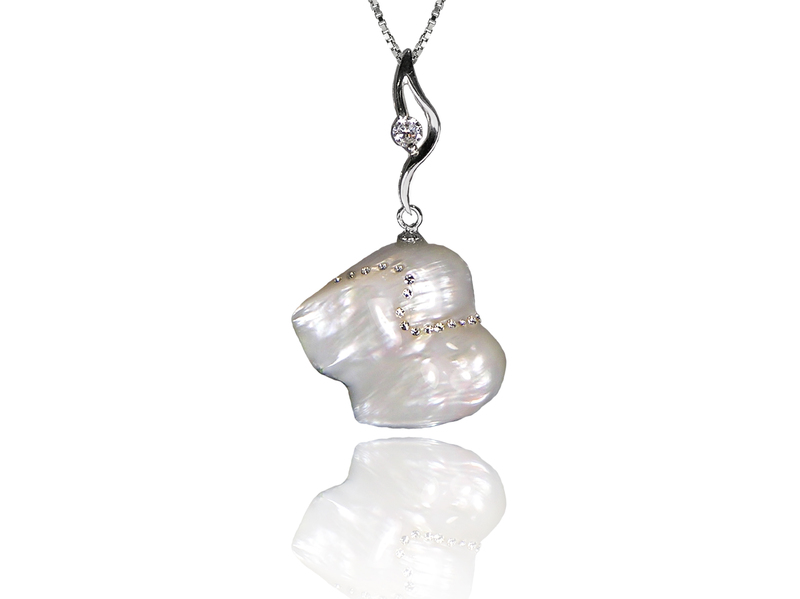 As a result, Keshi pearls are 100% nacre and generally have a very high level of luster. Keshi pearls are typically small and can come from saltwater or freshwater oysters. Keshi means “poppy seed” in Japanese, and they are sometimes called “poppy seed pearls”. 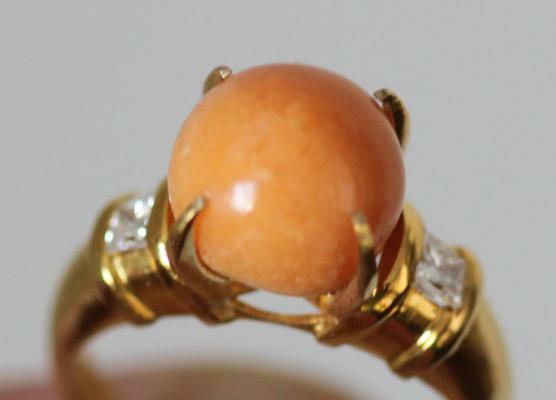 Mabé pearls are “worked” and “assembled” Blister pearls. So what does that mean? While in the oyster, the pearl is actually considered a Blister pearl and not a Mabé pearl. This type of pearl is intentionally grown by using a hemispheric nucleus or a half bead and implanting it against the oyster’s shell rather than within its tissues. Once the Blister pearl has formed it is then “worked”, cut out of the oyster’s shell using a circle-bit drill. 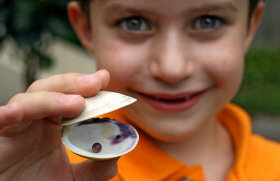 Then they “assemble” by placing a cap on the back of the pearl with a piece of mother-of-pearl and the Mabé is complete. 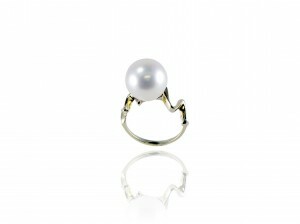 Mabé pearls are known for having high luster and orient and are used most often for rings and earrings. Baroque pearls are irregular and come in all different shapes and sizes, neither round nor symmetrical, and they usually have uneven surfaces. Most are inexpensive, but some remarkable baroques have come to be the centerpiece for very expensive pieces of jewelry. Their fantastical shapes lend themselves to use in pieces that take full advantage of their unique appearance. Ring pearls are the result of a tight fit! The oyster is nice and cozy inside its shell, then along comes the irritant. Because there is only so much room for the oyster AND the irritant, the oyster is left with only one choice–as it coats the irritant, the oyster is able to spin the soon- to-be-pearl in one direction, resulting in a one-of-a-kind signature! 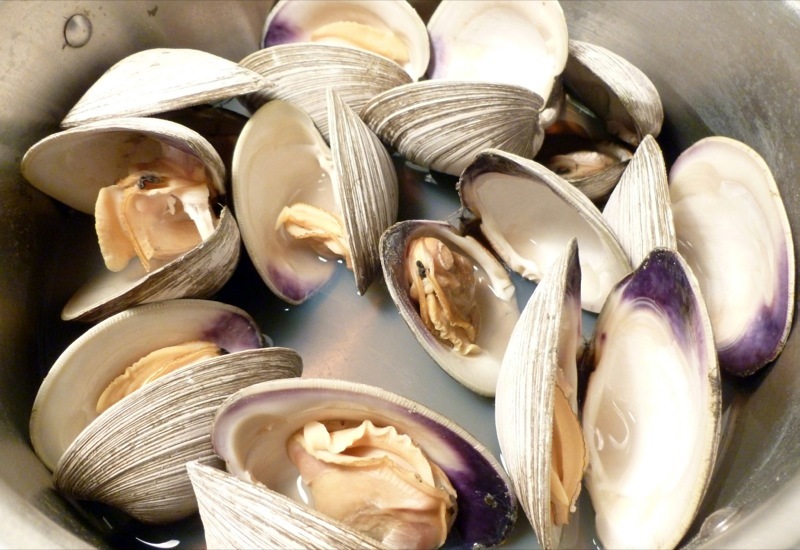 Biwa pearls are some of the most famous freshwater pearls, created by the pearl mussels that live in Lake Biwa. The lake, in the Shiga Prefecture and one of Japan’s oldest, is renewed by almost 500 small rivers and streams that flow down from the surrounding mountains. Lake Biwa, near Japan’s capital of Kyoto, is the only place Biwa pearls are found, although the mussel Hyriopsis schlegeli, from which the pearls are harvested, has spread through mussel hatcheries across the world. As a result, “biwa” pearls now come from many different sources than the actual lake. Mother of pearl is the inner pearly layer of the shell of the Gastropoda, Bivalvia (Pepcypoda) or Cephalopda family of oysters. The lip, or inside of the oyster can be in any range of colors, and these oysters are found all over the world. These shells lend their colors to the pearls their oysters produce. 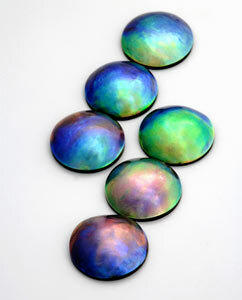 Mother of Pearl is used in jewelry, inlay on musical instruments, ornaments, buttons, and gun and knife handles. Known for both their meat and mother-of- pearl, abalones, or ear-shells, can be found around the world. They produce beautiful natural pearls in shades of turquoise, rose, green and cream. Abalone thrive on rocky shores in cold water. 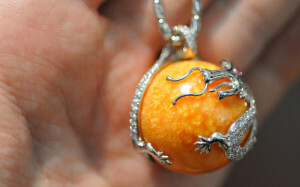 They are often encrusted with small clams that bore in from the outside and stimulate the production of Blister pearls. Evidence from archaeological sites in California shows that natural abalone pearls were used as trade goods by native peoples for thousands of years. 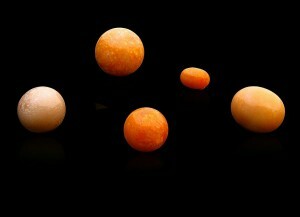 Today, species are being cultured in California and New Zealand, chiefly for food but also for mabé pearls. Think you can stump our Pearl Specialists? Call us at 386.767.3473 or email us at customercare@pearlsinternational.com, and ask any question you can think of relating to pearls or Pearls International jewelry, and we’ll tell you everything we know! If you want to find out how to tell if you’ve found a high-quality pearl, check out this handy Pearls International Pearl Buying Guide! 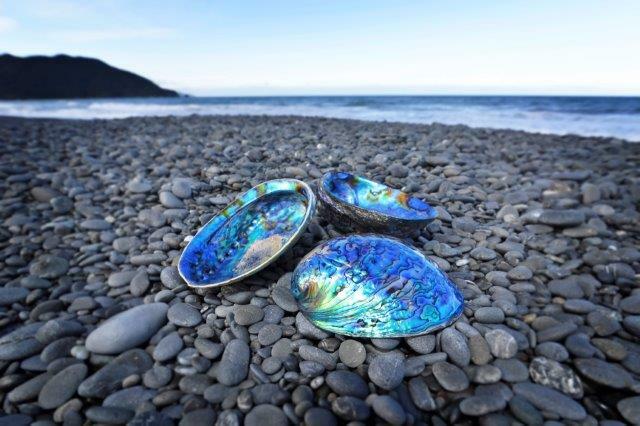 Pearly Whirly Pearl Fact – What Are Paua Shells? Did you know…there are BLUE Pearls? That’s right! 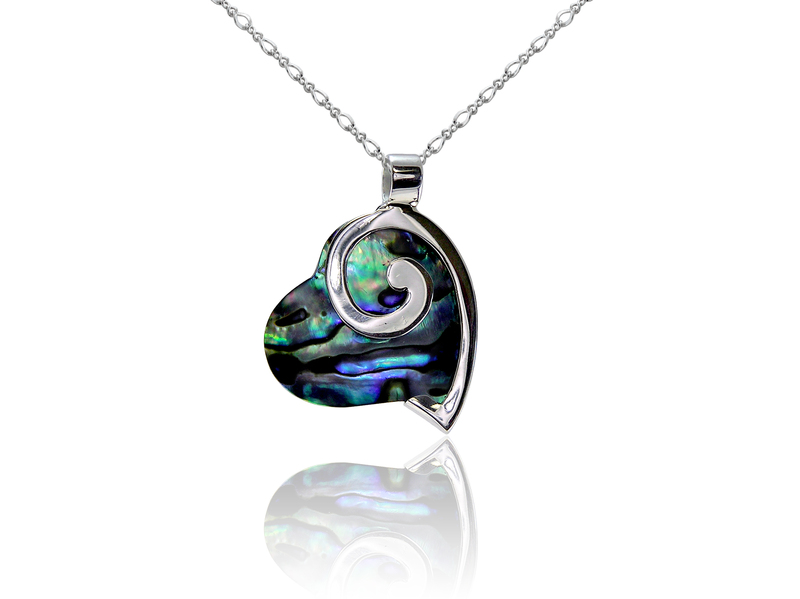 The “Paua” pearl from New Zealand is bright blue! 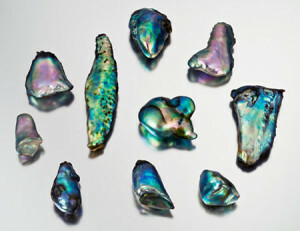 “Paua” pearls or “abalone” pearls come from the gastropod mollusk, Haliotis. They have a natural iridescence that is rare and seems almost unnatural. 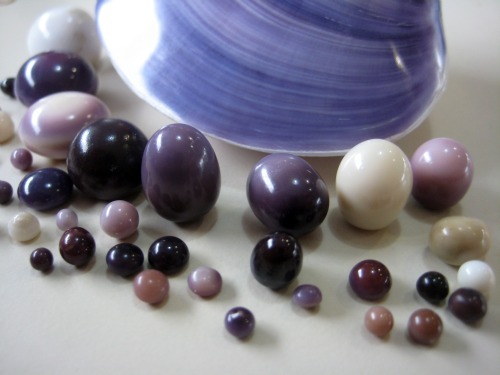 The New Zealand pearl comes in all shades of blue, but it also embodies all of the other colors of the sea – from the blue and green colors of the ocean, to the yellow, red, pink and purple colors of the sunrise and sunset. Each individual pearl can also have a variety of colors! The New Zealand Paua can create a beautiful pearl, but New Zealanders know that the meat of the Paua is also a tasty treat. Therefore, you can wear the pearl it produces, and indulge in the meat from the animal that created it! 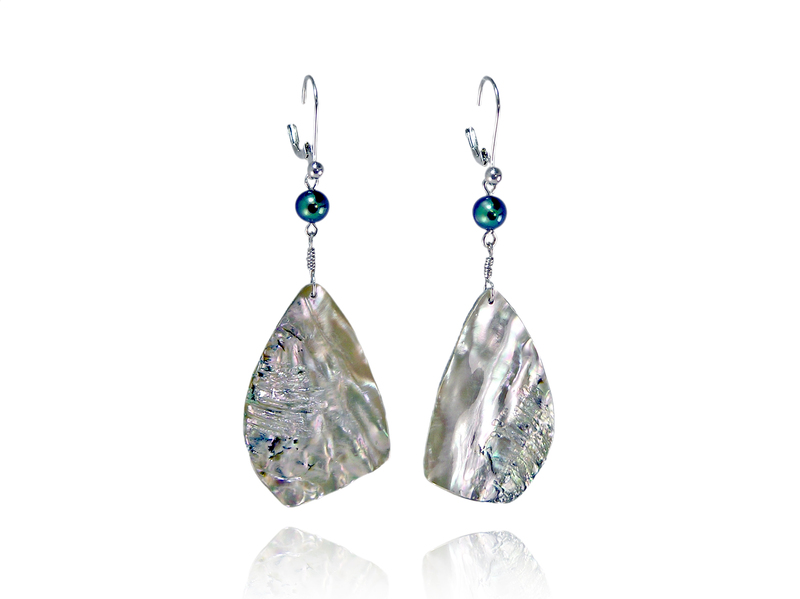 In addition to its beautiful pearls and tastiness, the abalone has a variety of significant meanings. So you see the abalone does more than sit at the bottom of the sea, it feeds us, adorns us, and gives us meaning! Give them a try!